Nachos - Vegans Eat What? Vegans Eat What? 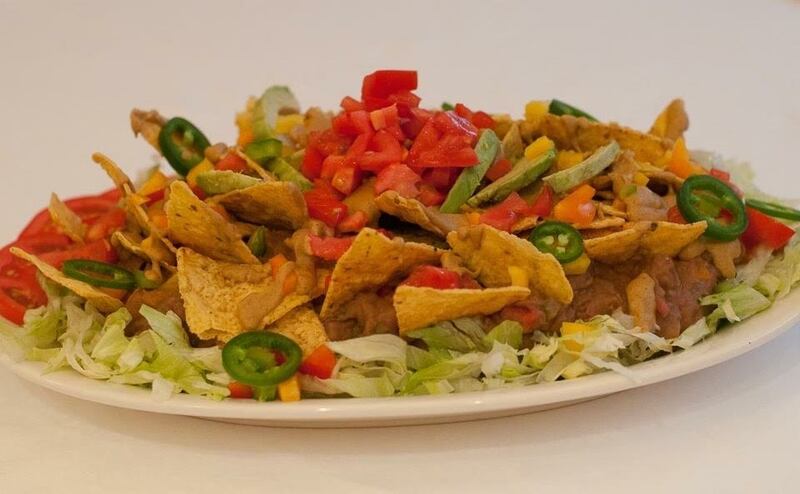 This recipe puts a deliciously healthy spin on traditional nachos. You gotta try it! Reserve half of the bell peppers, tomatoes, avocado and jalapeño for final nacho garnish. Shred iceberg lettuce and place on serving platter. refrigerate until ready to plate. Chop the onion. bell peppers. and chilies for sauté. Sauté the onion with 2 Tablespoons water or 1 tablespoon oil until translucent. Add bell peppers to skillet and continue to sauté. Add the refried beans, soy sauce, water and chilies if using. Continue cooking over medium heat for 5 minutes. stirring occasionally. Make the Cheese Sauce by combining all of the cheese sauce ingredients in a sauce pan. Stir or whisk until sauce becomes thick and creamy, about 3 to 4 minute. Turn off heat and assemble your nacho layers. lf the sauce becomes to thick add more plant milk and stir. 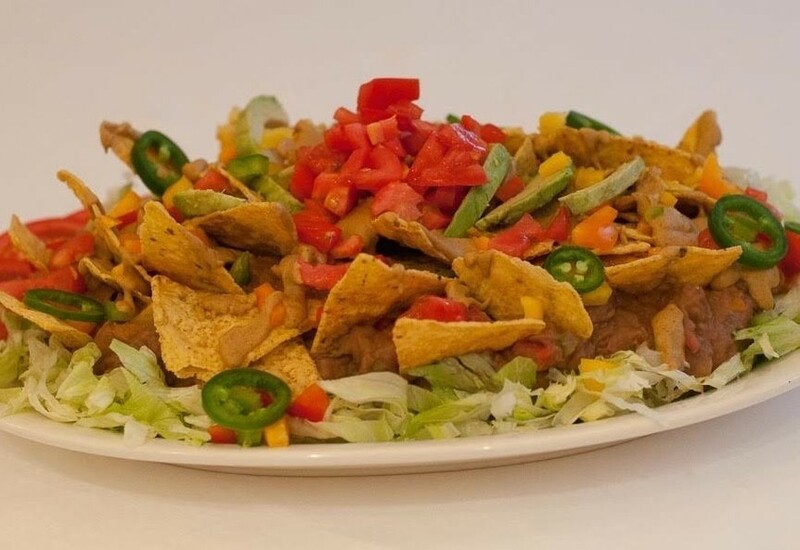 Begin layering with lettuce, bean dip, chips, drizzled cheese sauce, chopped bell peppers, jalapeño peppers, tomato and avocado chop.